And, just as the sentiment on the mini-card I'm sharing says "and it's all REALLY good! "...truth be told good is an understatement. Fabulous, marvelous, and incredible come closer to describing all the goodies in the new catalog. There is an incredible diversity of stamp sets. There are many marvelous new Designer Series Papers and ribbons. And all the Framelits are positively fabulous! What are you most excited about in the new catalog? Please leave a comment with your response! About today's project: The mini-card you see was made with the brand new Soho Subway Designer Series Paper (130140), Bermuda Bay card stock (131197), Coastal Cabana Classic Stampin' Pad (131175), and Pearl Basic Jewels (119247). It is a clean & simple card that you can quickly and easily replicate! If you are planning to place an order today, you'll be able to order from the new catalog beginning at 12 noon Mountain Time. Today is the first day to order from the new catalog, the last day to order from the Spring Catalog, AND one of the final days for ordering retiring items. Retiring items can be ordered until Monday, June 3 and accessory items are only available while supplies last. 1. You must use the code to be entered in the drawing and do so by June 7 at 12 noon Eastern time. 2. If you are ordering $75 or more in items, consider purchasing a starter kit to maximize your value -- the kit comes with no obligation to do anything more than enjoy what is in the kit. Learn more about the benefits of a starter kit here. 3. If you are not interested in a starter kit and plan to order $150 or more, simply place an order without the mystery host code so that you will receive host credit. With a $150 order, you will receive an additional $25 in products free! Ready to place your order? Click here for my online store. Sign-up for the Stampgoodness newsletter! Click here to place your Stampin' Up! order now! Today I want to share something really fabulous that you can create for your Facebook account. Now perhaps you are not a Facebook user, stick with me anyways! You could apply this idea in another way. Remember the other day when I told you that the "This Makes Me Happy Pocket Cards" was my favorite new digital download? Yesterday I simply had to download it and get started creating with it -- I couldn't wait until my first order from the new catty this Friday! The design itself was inpired by the current Pixel Maven's DigiChallenge and I decided to follow design team member Nicole Watt's lead and update my Facebook cover. I've used MDS to do this in the past. I've also been known to share MDS created digital images conveying birthday wishes to individuals who are not receiving an actual card from me...so easy to make with MDS and post on someone's wall! Not sure what size image you need for Facebook or another social media account? I wanted to double check the size and came across this great online resource - it is the "Cliff Notes" version with the sizes you need for the major social media sites. Be sure to bookmark a resource like this for easy reference in the future! Get your MDS elements perfectly lined up with another by using the "align" feature. Decrease the opacity on card stock and designer series paper to get a lighter hue of your favorite Stampin' Up! colors and patterns. What are some instances when you have (or could) use MDS for a project other than a card or photobook? I use MDS to create all my Five on Friday color combo images, to create photo montages such as the one below, to make fun holiday decor and banners, and I also put MDS to use when creating the blog header and all the buttons I made along the sides of the blog. LAST DAY TO GET $30 MORE OF YOUR FAVORITE PRODUCTS: Today is the last day to select up to $155 in products for just $99 plus local tax. This incredible value is available when you treat yourself to the no-risk, no-obligation Starter Kit. Click here to read about the benefits of purchasing a kit and click here and scroll down to see the new catalog sneak peek items you can order TODAY! Get all the new Designer Series Paper, ribbon, and embellishments for a fraction of the cost to purchase it all! Participate in a product share! Click to take a look at the shares that I've put together for you! What's Going On?! Stampin' Up! News for You! This is a big week and I thought it was a good time to review a few key dates with you! Thursday, May 30 - last day to get $30 more in products in your completely customized, no-risk, no obligation starter kit. Select up to $155 in products (regularly $125) for just $99 plus local tax. Get more details here. Need suggestions on making the very most of your crafting dollars when purchasing a kit? Email me -- I'm happy to help you design your kit! Friday, May 31 -- first day to order from the 2013-2014 Annual Catalog! If the last Stampin' Up! order you placed was through me and you have not yet received the new catalog, please let me know. After I verify the order and your address, I will get one in the mail to you. Friday, May 31 - last day to order from the 2013 Spring Catalog! Monday, June 3 - last day to order retiring items. Remember that accessory items are only available while supplies last. What day are you placing your next order and what will be on it? I'll be ordering on May 31 and will be purchasing some new catalog items (stamps, paper, ink) and some digital print products! My local stamping friends (customers and demonstrators) will get a chance to use the new items at my "out with old and in with new" stamping celebration on June 7! Party Time -- the Pals May Blog Hop Retirement Bash! It's All About the Ampersand for this Mojo Monday Design! Have you ever bought a stamp set just for one particular stamp? Or a single stamp just for one part of the image? When I saw the Mr. and Mrs. stamp, I knew there were so many possibilities beyond making wedding or anniversary cards and that was due to the fabulous amerpsand smack dab in the middle of the stamp. Speaking of fabulous, the Fabulous Phrases stamp set is perfect for pairing with the ampersand! What words would you use with the ampersand? Treat Yourself to the Ultimate Paper Crafting Kit! Until May 30, you can select up to $155 in products for just $99 plus local tax. This incredible value is available when you treat yourself to the no-risk, no-obligation Starter Kit. Click here to read about the benefits of purchasing a kit and click here and scroll down to see the new catalog sneak peek items you can order TODAY! Get great deals on retired Stampin' Up! products here! 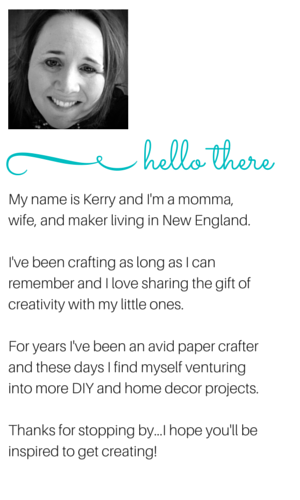 Mojo Monday 290: A Stampin' Up! Rookery for Earth Day! Head Over Heels In Love! MOJO291: Be of Good Cheer! New Catty Sneak Peek for You! It seems that just about everyone loves a new catalog sneak peek and I've not shared one with you for days and days! Today is your lucky day as you get to see a quick and easy kit that is perfect for gift giving! The containers in the Tag a Bag Gift Boxes" kit are a fabulous size so there are so many possibilities for what you can place inside it! Did you notice the adorable little wooden clothespin? Fun! What would you put in these boxes and give away? P.S. For those who noticed the absence of a post yesterday and were sweet enough to reach out, thank you! All is good...just been a little hectic around here! And, my crafting space is in that terrible middle stage of re-organizing where everything is everywhere and you can't find a thing. On the plus side, I plan to finish up this week and share photos of the space with you! Saturday Sneak Peeks -- Two Quick Cards for You! Five on Friday: Sneak Peeks of the New In Colors! Thinking Outside the Card -- A Challenge for YOU! On Monday, the US celebrates Memorial Day - a day to remember those who have died in the nation's service. Today I want to share a quick and easy home decor item that is perfect for display over Memorial Day, July 4th, and Veteran's Day. While Memorial Day may not be a holiday for which you typically decorate, this is a little something that takes just minutes. The Pride Framable Designer Template is just $3.95 and you can easily download it, print it, and frame it in less than 30 minutes. It measures 8-1/2" x 11". Mine took a tiny bit longer because I changed the colors -- the original color scheme has Cherry Cobler and Chocolate Chip, and I wanted red (Real Red) and Blue (Not Quite Navy), plus some splashes of yello (Daffodil Delight) for the stars. To get a closer look at the Pride Designer Template, click here to open as a PDF...the original template of course does not either my watermark or the Stampin' Up! and MDS logos. Stampin' Up! has a whole set of Patriotic downloads -- click to see these downloads! Will you be marking Memorial Day in a special way? We'll be headed to our local Memorial Day parade decked out in red, white, and blue with the girls in their little red Radio Flyer wagon. So many people find that late spring through the summer is a time for giving a lot of gifts. Makes perfect sense...high school and college graduations, prime wedding season (and often preceeded by a bridal shower), peak time for family reunions, and, of course, babies arrive and birthday celebrations occur all year long! You may often look through your Stampin' Up! catalog looking for the perfect stamp set or Designer Series Paper for making cards to give to others. Today, I'm taking you on a little Stampin' Up! product tour through the lens of a gift giver and providing you with 5 gift giving ideas! 1. For the anyone at all - a personalized stamp, set of note cards and envelopes, and a few individual Stampin' Write markers. You can stamp the note cards for the recipient(s) or leave them blank. 3. For the graduate - Paper Pumpkin would provide a fabulous "creative escape" each month for the high school student who is heading away to college or the new college graduate who is just entering the work force. 4. For the friend or family member celebrating a milestone birthday - the This and That product line will provide a way for the recipient to record the milestone festivities! The journal is the bare minimum that you'll want to give, but you may want to include the full line of products! 5. For you - perhaps your birthday is coming up or maybe you've recently achieved a goal you set, or perhpas you simply deserve a little spoiling -- purchase a starter kit and select up to $155 in products for just $99 plus local tax is an incredible opportunity (ends May 30). What is your favorite Stampin' Up! gift to give? Use all the new Designer Series Paper, ribbon, and embellishments for a fraction of the cost to purchase it all! Participate in a product share! Click to take a look at the shares that I've put together for you! 3. Fresh and modern stamp designs. Stampin' Up! started offering photopolymer stamps at the beginning of March and currently offers 4 sets each priced at $13.95. Each set contains many stamps and you can see all the photopolymer sets by clicking here. One thing I noticed with these stamps was an odor. It took me a bit by surprise and I now understand from others that this is typical with photopolymer stamps. As someone who cleans the house without chemicals and who uses organic skin care products, it seemed to be a strong odor to me, however, I'll definitely keep using these wonderful stamps! And, it is not just me who loves these stamps! The Stampin' Up! blog containts a fabulous post about photopolymer stamps. Be sure to give it a quick read! Find "Photopolymer Stamps: A Love Story" here. You'll notice that Brandi B. and I share a lot of the same sentiments about these stamps! Have you given photopolymer stamps a try? What did you think? Please be sure to leave a comment. Save big on your stamping supplies! Until May 30, you can select up to $155 in products for just $99 plus local tax. This incredible value is available when you treat yourself to the no-risk, no-obligation Starter Kit. Click here to read about the benefits of purchasing a kit and click here and scroll down to see the new catalog sneak peek items you can order TODAY! With graduation season and the start of the summer wedding season upon us here in the USA, this a fabulous time of year for creating some mini-albums or brag books! You could have out a brag displayed at a graduation party containing pictures of the graduate from kindergarten right on through to senior year. Or maybe at a wedding shower, you have all the guests write messages on pieces of card stock or Designer Series Paper and then bind the good wishes into a little mini album for the happy couple. So many possibilities. Today I am going to share how you can make this happen with supplies you likely already have in your crafting space. Take your Top Notes Bigz Die and cut an album front and back from the thick white posterboard like sheet that comes with Designer Series Paper. Cut several pieces of card stock for the pages of th album. Make holes in the album using either a hole punch or Crop-o-dile and use O-rings to hold the album together. Take some chipboard or cardboard to cut out album covers with your Ovals Collection Framelits (or others that you prefer) and cut inside pages on Designer Series Paper. Make a single hole or a pair of holes so that you can thread through either ribbon or Baker's Twine to hold the pages of the album together. DISCLAIMER: Framelits are designed to be used with a single sheet of card stock or Designer Series Paper. While my Framelits did cut the cardboard just fine, the "sandwich" that ran through my Big Shot was quite substantial...everything seemed to be in good working shape when I was done, but do know that you might void product warranties by using the Framelits with such thick material. Cut chipboard into a 4", 5" or 6" squares for an album cover and back. Cut Designer Series Paper or card stock to thhe same size fo the inside pages of the mini album. Punch two holes along one side and use O-rings, ribbon, or Baker's Twine to hold the album together. The pieces that came with the May Paper Pumpkin Kit measured 5". While it would be a challenge to replicate the little self-adhesive images when creating your own kit, you could certainly make up some page embellishments using your Stampin' Up! punches, some stamps, and a ink. I've not yet had a chance to put together all the pages from the Paper Pumpkin kt...so sorry to those of you who that is what I meant when I said I would be showing you the rest of the kit today! However, as soon as I do get it done, I will be sure to share it with you! Love, love, love this kit...my favorite Paper Pumpkin kit so far! Indulge in your passion for paper crafting! Right now you can select up to $155 in products for just $99 plus local tax. This incredible value is available when you treat yourself to the no-risk, no-obligation Starter Kit. Click here to read about the benefits and perks of purchasing a kit AND click here and scroll down to see all the sneak peek items you can order TODAY! Try It All! One fabulous way to get to use all the new Designer Series Paper, ribbon, and embellishments from the new catalog, is to participate in a product share! Product shares save you tremendously over ordering all these items on your own. Click to take a look at the shares that I've put together for you! in love with paper crafting all over again! Last month I said that I would not be showing the monthly Paper Pumpkin kit again since you cannot get it if you are not already a subscriber. Just can't stick to that...I have to share this month's project! It is all the supplies to make a super fun mini album. Best part is that you could absolutely take this idea and replicate it with other Stampin' Up! products. In addition to the May Paper Pumpkin kit supplies, I also used the Show & Tell 1 and Show & Tell 2 photopolymer stamp sets along with a little Early Espresso Baker's Twine. Stop back tomorrow for more information about what was in the Paper Pumpkin kit and my suggestions on how you can easily create a fabulous mini album from supplies you have on hand! And, on Thursday, I will tell you more about photopolymer stamps and why I have fallen in love with them. There are some definitely perks to using these stamps. DON'T MISS OUT! Until May 30th, you can select up to $155 in products for just $99 plus local tax. This incredible value is available when you treat yourself to the no-risk, no-obligation Starter Kit. Click here to read about the benefits and perks of purchasing a kit AND click here and scroll down to see all the new catalog sneak peek items you can order TODAY! Find the retired Stampin' Up! products here! Click to place your Stampin' Up! order now! Five on Friday: All the Latest from Stampin' Up! including free shipping!